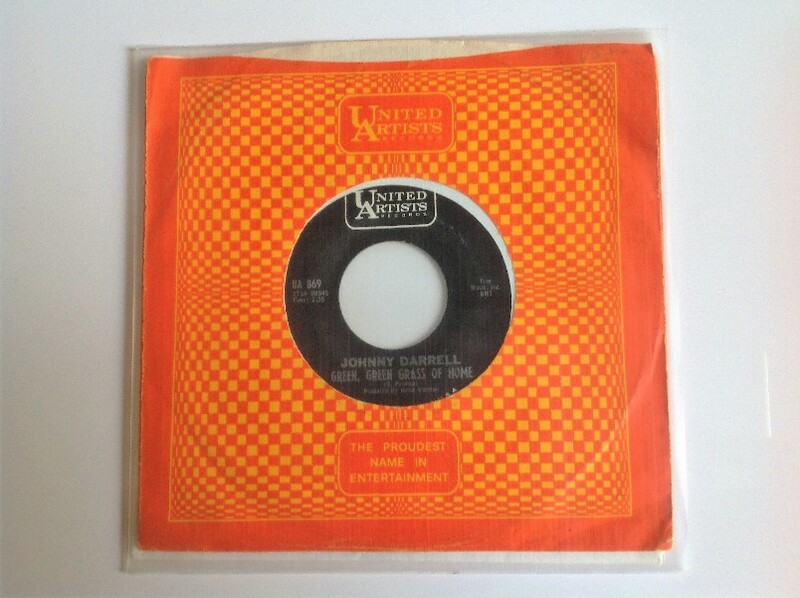 Curly Putman's own version also dates from 1965, but Johnny Darrell's recording was first. Johnny Darrell was born on 23 July, 1940, in Hopewell, Alabama, but grew up in Marietta, Georgia. After a stint in the Army, he moved to Nashville to manage a Holiday Inn hotel near Music Row. It was in this way that he made a few music-business contacts. In particular, he got to know United Artists producer Kelso Herston Darrell signed with UA, and issued his first single, "Green, Green Grass of Home," on United Artists UA 869 in 1965. The song had initially been offered to Bobby Bare, but he had other things on his plate, so Darrell was allowed to record it instead. That same year also saw versions by Porter Wagoner, Jerry Lee Lewis, and Ferlin Husky. Welshman Tom Jones's UK number one version was recorded in 1966. Darrell went on to record the original versions of "Ruby, Don't Take Your Love To Town" and "The Son of Hickory Holler's Tramp", but both would be bigger successes for other artists. Johnny Darrell died on 7 October 7, 1997.